News from the stores: Fire Fire! The Bedford Volunteer Fire Brigade was founded in 1870. This was a group of part-time volunteers, under the command of a chief officer. One full-time engineer was also employed who lived at the engine house in Mill Street, which was built in 1888. The brigade was paid for by public subscription until 1919 when it was taken over by Bedford Borough Council. The Bedfordshire and Luton Archives and Records Service (BLARS) have the Bedford Brigade scrapbooks for 1896-1935, which contain accounts of fires attended, as well as those employed by the brigade. There are group photographs of the personnel, as well as images of the aftermath of fires attended by the service. In 1941, due to the demands for countrywide control of fire services the National Fire Service was formed. The Fire Services Act of 1947 created a nationwide service merging all the local brigades, which was regionally centralised from Bedford, and came under the newly formed County Council Fire Services Committee until 1974. 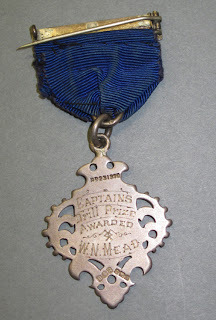 Recently, a donation was made to the museum of a collection of objects relating to Foreman Mr Walter Mead of the Bedford Volunteer Fire Brigade from the 1890’s into the early 20th Century. Walter Norman Mead was born in Bedford in 1872, son of Norman Mead a painter and glazier from Cranfield and Elizabeth, a lacemaker from Cople. The couple had moved to Derby Street in Bedford after their marriage. Walter was the eldest of 5 siblings according to the census data of 1881. 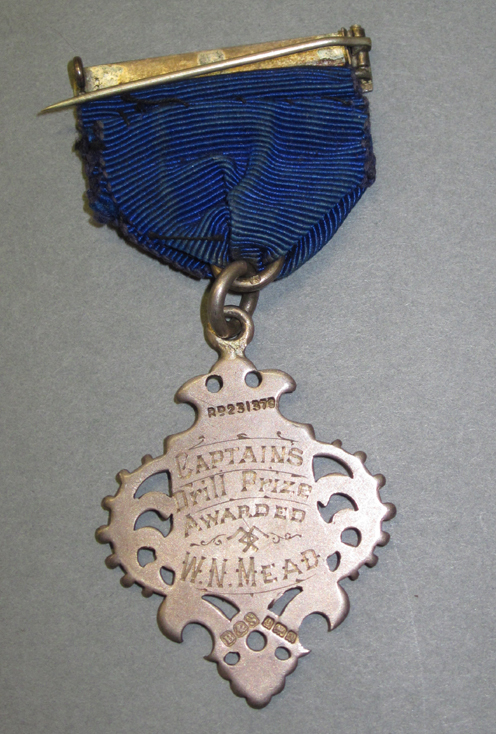 Included in the group of objects donated are his certificate to operate a “Shand Mason Steam Pump”, as well as many awards and medals. 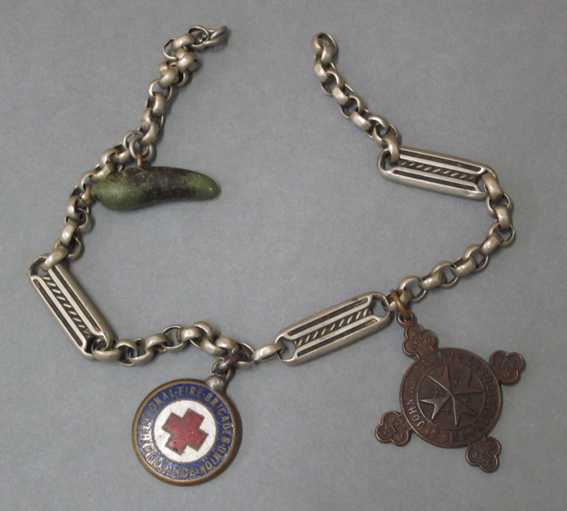 ﻿﻿﻿﻿﻿﻿These items are supported by documentation in the Bedfordshire and Luton Archives of his participation in similar competitions. The annual championship of the brigade for the Captains cup was the combined success of three events, getting the manual engine to work, getting it to work from a street hydrant and mounting the escape in picking up, carrying down and depositing a dummy to safety. 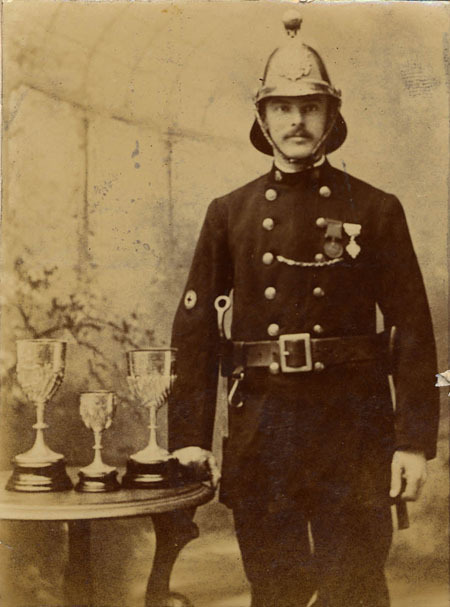 Mr Mead is recorded as winning the challenge in 1904, taking 141 seconds and was awarded the three cups you can see in the picture above. We have also been given personal items from Walter’s uniform, such as his BVFB armband and his watch chain with decorations of his achievements engraved. This group is a wonderful addition of items closely associated with the Bedford Volunteer Fire Brigade and the people that served bravely the local community in this profession.